Here is another sketch of a rather good looking gentleman with a Cool haircut… I don’t think my sketch does justice to his haircut. I don’t think many people can pull-off this kind of haircut, but it suited his chiseled face quite well. I did show him this picture, but I forgot to get his name… oops! He enjoyed looking at his sketch. 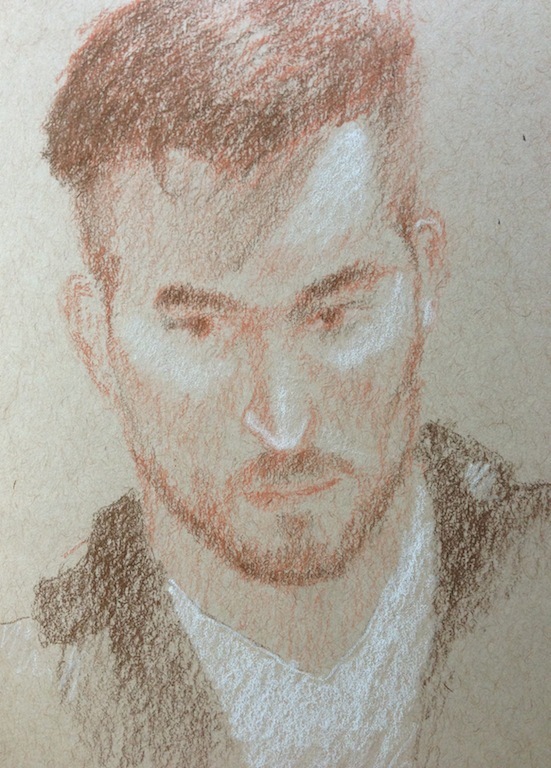 For my artist friends: I used a Sienna (i.e Red-Brown), Umber (Brown-Black) and White for this sketch. Took 30minutes. This entry was posted in Uncategorized on March 26, 2014 by Faisal Tariq.